It’s that time of year again. 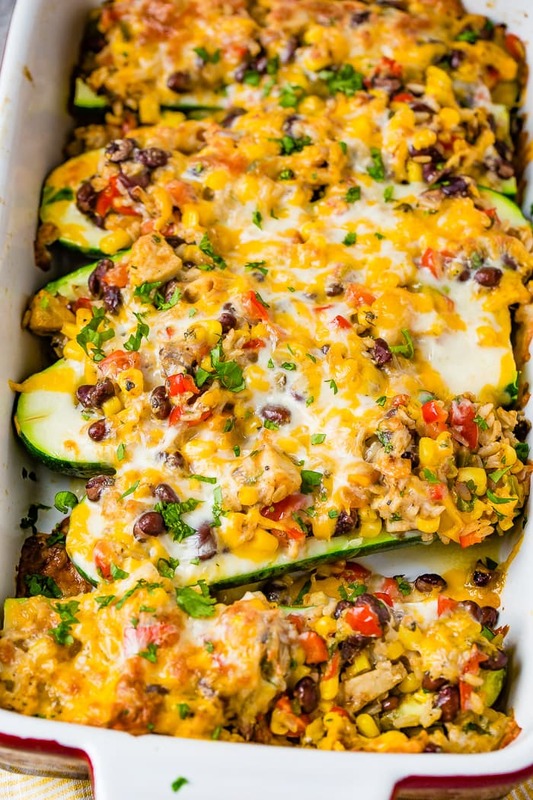 Time to get your buns back in shape after holiday eating and Cheesy Healthy Mexican Zucchini Boats is a good start! I have to really get in a groove with healthy dinner recipes. At first it’s like my brain literally can’t think up a thing that’s healthy and not full of carbs. Especially after the holidays. And this year was a real doozie, hello bread and treats. This recipe for, Cheesy Healthy Mexican Zucchini Boats is the first thing I made after Christmas so that I’d get in the right mindset for the new year and it worked! 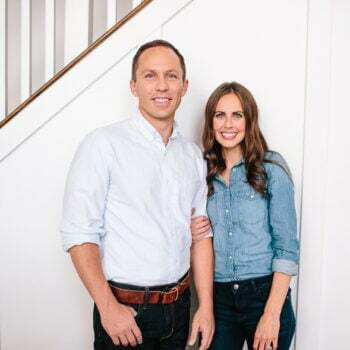 When we were first married Cade was obsessively healthy. Remember how he wouldn’t eat my Mom’s famous caramel brownies? Ugh, still an eye roller for me. Anyway, we would think up cheap, easy and healthy options for dinner and a Mexican chicken with brown rice was one of our go-to meals. As the years wore on we added different ingredients like corn, beans, and spices. Fast forward a whole heck of a lot of time and it’s a totally different meal now. When I started hearing about stuffed peppers I immediately thought of stuffed zucchini instead. I mean, stuffed peppers are great, but there’s something I like even more about a stuffed zucchini recipe. 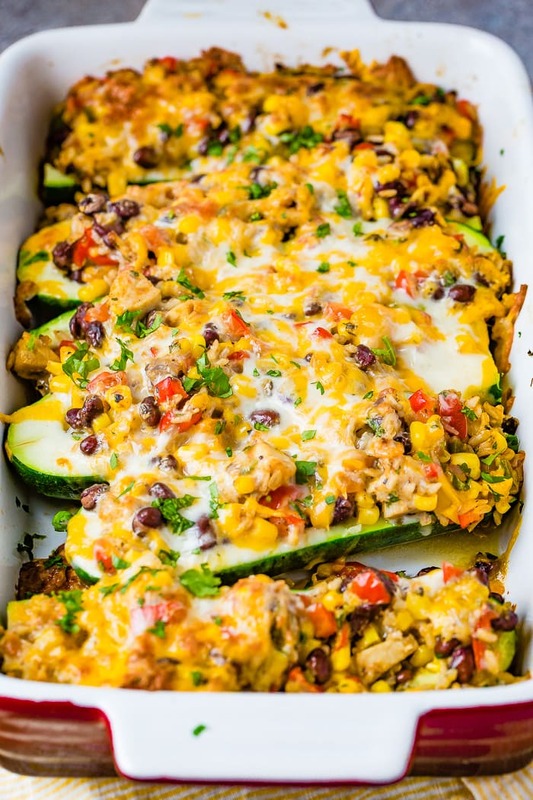 Cheesy Healthy Mexican Zucchini Boats is a great dish for using up whatever you have in the pantry, fridge, freezer and heck, even leftovers often make an appearance in this dish. Using zucchini instead of tortillas lightens everything up, but you absolutely should prepare it the proper way. We like to use, corn, black beans, and tomatoes to really give variety to the dish. A chicken burrito is great, but add in extra fillings and it’s fantastic. A little salsa adds a great flavor and helps to keep everything moist and juicy. Too much and it will be soup, so it’s best to follow the directions and serve any leftover salsa with the cooked meal. Top everything off with gooey cheese and you’re good to go! You need to get as much liquid out of the zucchini as possible, so to do this you’ll want to remove the stem end and slice the zucchini in half lengthwise. Use a melon baller or small spoon to scoop out the insides of the zucchini. This can break the zucchini so you’ll need to handle it very gently. A melon baller helps you to carefully scoop without adding too much pressure. Start off by cooking up some brown rice, quinoa or even regular rice would work. The hardier texture of a brown rice is my favorite for this dish since the zucchini gets so soft and it needs some texture to it. However, the grains of quinoa might not be everyone’s favorite (I personally love it) so go with whatever works for your family. 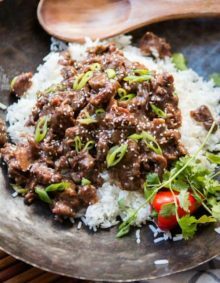 We actually use leftover rice most of the time. 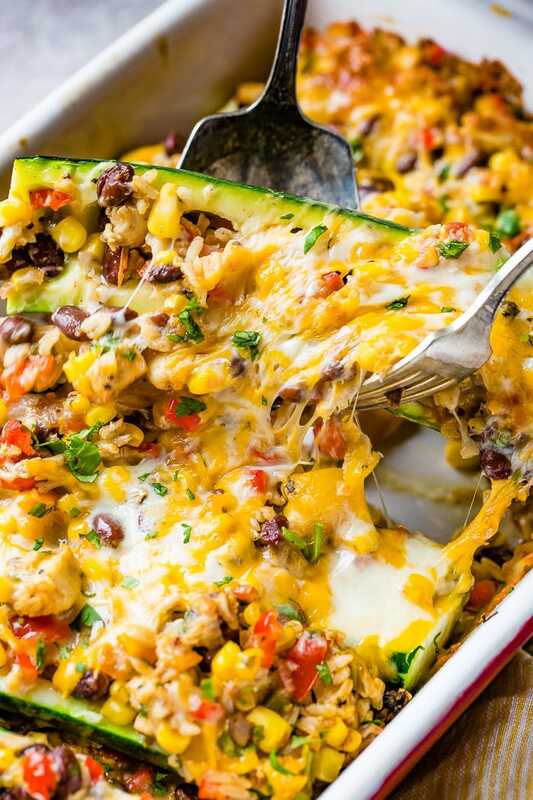 I mean, you only need a cup and it’s easier to have it two nights prior, save a little cup of it and then use it in this Cheesy Healthy Mexican Zucchini Boats recipe. 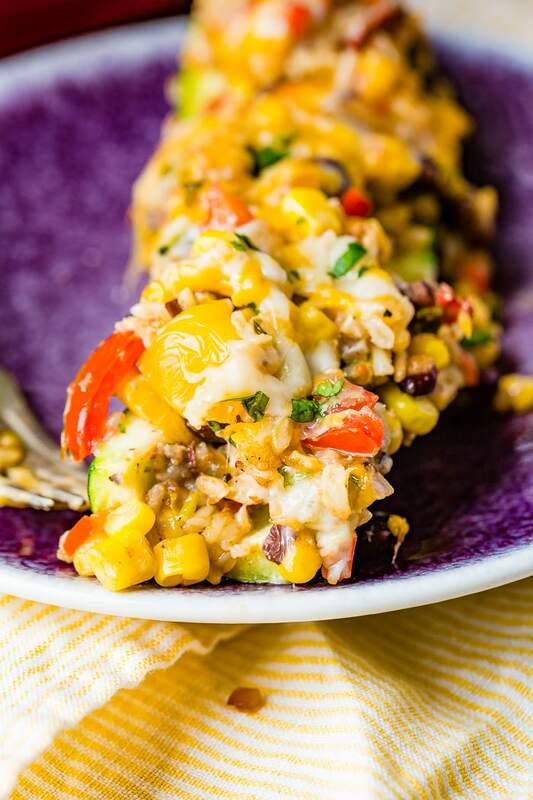 We go back and forth between adding chicken to our zucchini burrito boats recipe and leaving it a vegetarian dish. If you do skip the chicken, just add the seasonings to the dish and stir them in, but if you’re looking for something more hearty, throw in some Mexican chicken. We really like to use this Easy Grilled Chicken for Tacos when we have leftovers, otherwise we just season up a big chicken breast and cook it one of three ways. 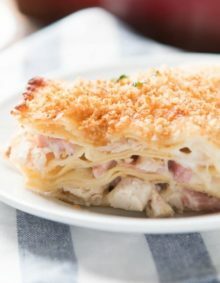 In the Oven– When you don’t have leftover chicken just sprinkle seasonings on both sides of the chicken and bake at 350 degrees for 20-30 minutes. In a Skillet– Heat a skillet over medium high heat with a drizzle of oil. Once shimmering, add the chicken and turn down to medium low heat. Cook for 6-7 minutes per side or until cooked through. In the Instant Pot- Place the chicken and 1/4 cup of water, and the seasonings in an instant pot. Turn the valve to seal and cook for 5-7 minutes on the high pressure setting. Can You Make Zucchini Boats Ahead of Time? These cheesy Mexican Zucchini Boats can be completely prepared hours in advance and stored in the fridge with foil covering them. When you’re ready to cook them, simply remove them from the fridge 15 minutes early to take the chill off of everything and then proceed with baking as normal. If you need to prepare them a day in advance, prepare the filling and zucchini separate, store in separate sealed containers and place in the fridge. Assemble the morning of baking and follow the directions for baking. Can You Freeze Zucchini Boats? Zucchini releases a lot of water, so it’s best to not freeze zucchini for anything other than making quick breads. When you do freeze zucchini, it’s always best to freeze it already shredded. No need to peel the zucchini, just shred the entire thing. Make sure that you pour off the excess water when defrosting the zucchini. Looking for more healthy recipes? 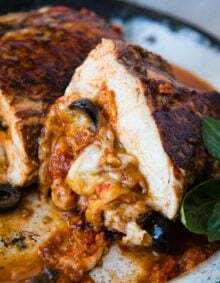 Balsamic Caprese Chicken, Favorite BBQ Chicken on the Grill, Asian Sticky Salmon in Foil, Healthy Twice Baked Potatoes, Turkey Meatballs or Herbed Gravy, or Taco Stuffed Sweet Potatoes! It's that time of year again. 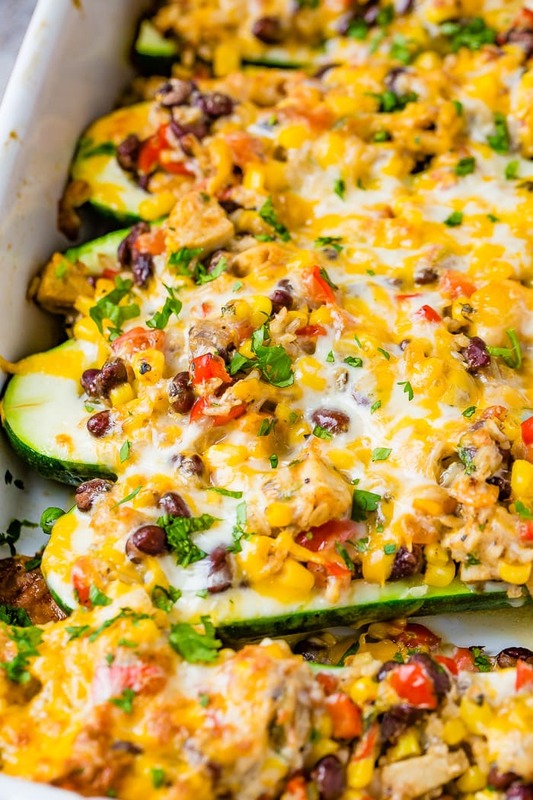 Time to get your buns back in shape after holiday eating and Cheesy Healthy Mexican Zucchini Boats is a good start! 4 large zucchini, the stem removed and sliced lengthwise. 1/4 Cup Fresh Cilantro, finely chopped, plus more for garnish. Grease a 9 x 13” casserole dish then set aside. Sprinkle the chicken evenly with the cumin and chili powder and a pinch of salt. 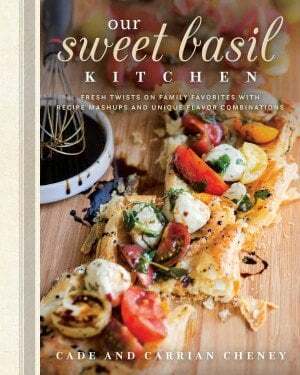 Cook in a pan for 5-6 minutes per side, a 350 degree oven for 20-30 minutes or an instant pot for 5-7 minutes. Using a melon baller or metal teaspoon, scoop out the center of each zucchini. Drizzle tops with one teaspoon of olive oil then place them skin side down in the casserole dish so the boat side is ready to be filled. Next, heat olive oil in a large skillet over medium heat. Add the onion and the peppers (bell and jalapeno) and cook for 2-3 minutes, or until tender. Next, add the rice, corn, beans and tomatoes along with the salsa. Stir everything together until well mixed and continue to cook for about 5 minutes to heat everything then remove the skillet from the heat and set aside. Stir in the cilantro and salt to taste to the filling. Spoon the filling into each zucchini until they are all heaping. Sprinkle each one with cheese and cover with foil. Bake in the oven for 25 minutes then remove the foil and set the oven to broil. Cook them for 5 more minutes, until the cheese is bubbly. Allow them to cool for 5-10 minutes then top with fresh cilantro and serve with additional salsa if desired. This is adapted from Making Thyme for Health If you don't use chicken, just add the seasonings to the rice mixture. What do you do with the zucchini that was scooped out? I munch on it while I make the rest of the meal!